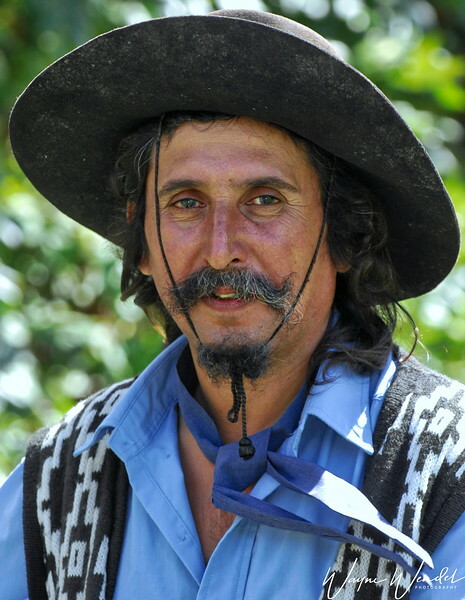 A gaucho is an Argentinian cowboy. Large ranches of the pampas region of Argentina raise thousands of head of beef cattle. Gauchos still round up and take care of these herds. They even have a horse for the Pampas, the Criollo, bred from the Andalusian and Arabian imported by the Spanish conquistadors. Excellent portrait. And your caption led me the Wikipedia article on the criollo breed of horse, which was quite interesting.